Here at No Sleep New York, we were excited to be able to interview Olivia Kissper, one of the most popular ASMRtists on the web, with almost 290,000 subscribers on her YouTube as our April 2018 Artist of the Month. If you haven’t heard of ASMR, or have never felt it, here is a brief description for you below. After reading our article about Olivia Kissper, we recommend going to YouTube to discover more of her content, along with exploring other ASMRtists out there! Autonomous sensory meridian response (ASMR) is a term used for an experience characterized by a static-like or tingling sensation on the skin that typically begins on the scalp and moves down the back of the neck and upper spine. ASMR signifies the subjective experience of “low-grade euphoria” characterized by “a combination of positive feelings and a distinct static-like tingling sensation on the skin”. It is most commonly triggered by specific acoustic or visual stimuli, and less commonly by intentional attention control. Click all images to be brought to Olivia Kissper’s videos! No Sleep New York: Do you remember your first experience of ASMR? If so, can you describe it for us? Olivia Kissper: ASMR was always part of my life from as soon as I remember, it’s so natural that I don’t recall the first moment it happened. But now I have vivid memories, especially experiencing it with light touch and hair play from my Mother when really young. NSNY: What first spurred your interest to create your own ASMR channel? OK: I was just finishing my Master’s in Transpersonal Psychology when I discovered ASMR. Transpersonal Psychology studies people’s experiences rather than behavior, especially exceptional and mystical experiences that are difficult to explain or measure with scientific tools. So I was perplexed I didn’t find anything in literature about the subject and decided to study it by doing it. I also had no idea if I was able to induce tingles in others so it was great to find out so from the positive feedback on YouTube. NSNY: We see you have a “Day Activation Mindfulness Course” Mobile App in collaboration with iMoblife. That’s very exciting! Talk to us about your creative process when developing this app. OK: I was inspired by many different mindfulness courses in my life and always wanted to create my own. When I was approached by iMoblife, I gave them my ideas and they loved it. I wanted something to inspire people’s lives each morning by sitting for only 15 minutes and learning to observe their sensations, thoughts and emotions to develop the ability to look at their emotions rather than through their emotions. I also wanted to add daily activation statements that would help others to focus on one aspect each week, for example ‘judgments’. iMoblife was very opened to those ideas and loved the creative approach. We also tried to add some ASMR sounds as options to play along with the meditations but eventually, after doing some preliminary market research, we decided to keep it simple. NSNY: Do you have a favorite type of ASMR video that you enjoy making? OK: I love making epic transpersonal videos that combine tingles, role playing and some form of narrative, a personal journey through emotional landscapes and healing. I love adding beautiful music, footage and special effects that are both relaxing and expansive. It is very satisfying to create transformative art in this form, as each role play provides opportunities for new tingles and experiences. You can see them in my Olivia’s Epic ASMR Playlist. This Sleep Hypnosis Will Make Your Whole Body WARM & TINGLY! NSNY: From those who didn’t experience it, ASMR was seen by many at first as something inappropriate or strange. Do you feel there has been a shift in mindset of how ASMR is now perceived? OK: Maybe. It will be always hard to explain to people who do not experience it. How can you? Also people often associate ASMR with ASMR videos and those are two different things. NSNY: Who are your favorite ASMRtists on YouTube? How about your favorite ASMR triggers? OK: I don’t typically watch ASMR videos, I love creating them. I love any triggers that work on me which is almost anything from gentle sounds and touch to my own breathing. NSNY: You have you an impressive almost 290,000 subscribers on YouTube. Did you ever imagine from the beginning that you would have such a strong following on your channel one day? OK: I had no idea what was about to come out of my channel when I first started. And then, yes, I was taken back by the velocity of my channel growing, especially at the beginning. 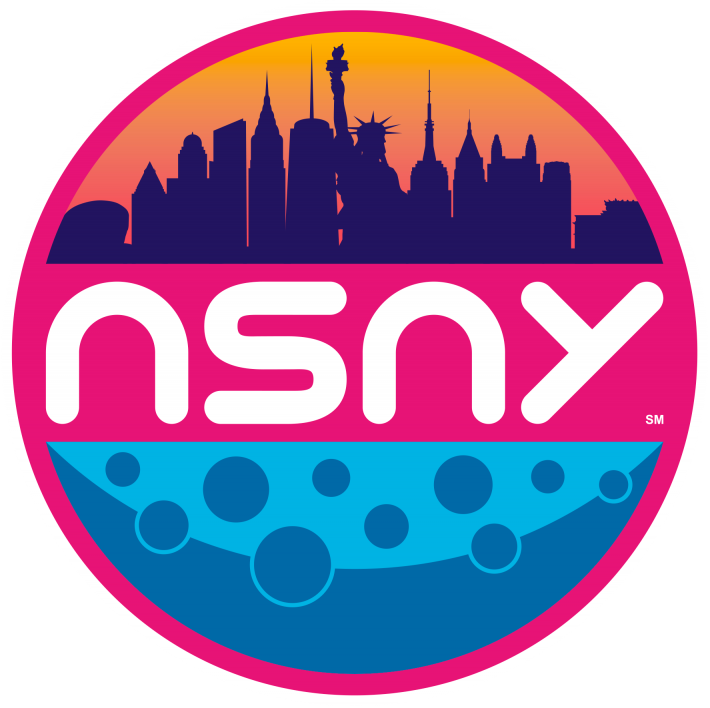 NSNY: Anything else you’d like to add? OK: From my own experience, and massive feedback from others, I believe that ASMR has huge healing potential if used in the right way. In fact, ASMR has been part of many alternative healing methods and rituals across all cultures. Essentially, our bodies have the capacity to heal and self-repair naturally, but we need to enter the parasympathetic mode (relaxation), which is often blocked by our hyper-vigilant lifestyles. ASMR, and especially personal attention by another is especially conductive to feeling safe, nurtured and relaxed. Thanks for speaking with us, Olivia! Visit and follow our Instagram to see more content. To see more of Olivia Kissper and her ASMR, visit her YouTube Channel, Website, and Instagram.